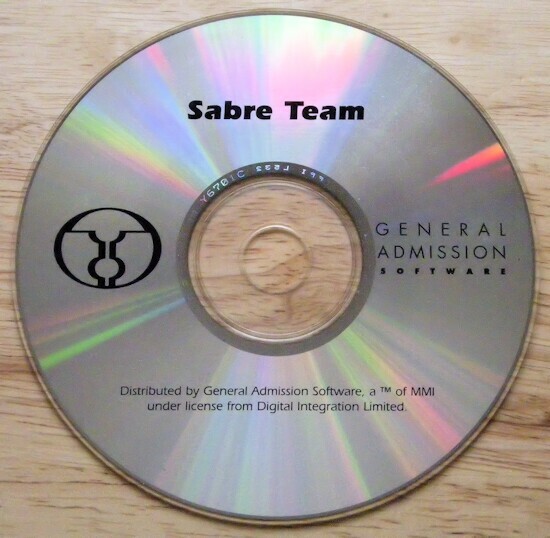 Sabre Team was one of the best squad-level turn-based games ever made. The plot is hackneyed, but serviceable: crazed terrorists have taken control of the American Embassy in London. It is your job, naturally, to pick a team of armed S.A.S. 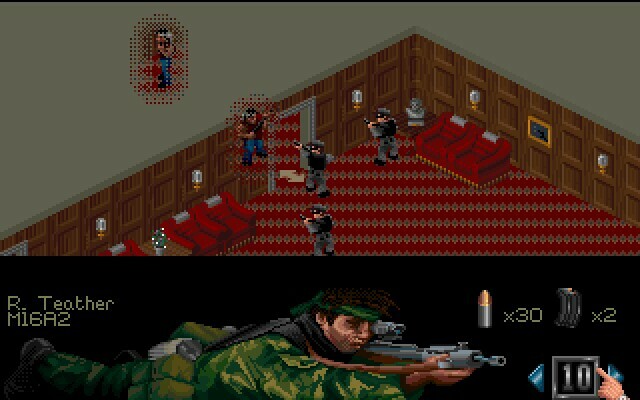 agents (British version of the US' SEAL team) and send them to rescue the hostages and capture the terrorists. More interesting than the plot is the inspiration behind it-- the game was inspired by the famous Iranian Embassy hostage situation that introduced the world to the grimly efficient S.A.S. squad. For many, the S.A.S (a.k.a. "Sabre Team" are the black-clad rescuers of Princes Street depicted by the BBC as the pictures of the last minutes of the siege were relayed live around the world. Sabre Team the game is dedicated to S.A.S. agents, based on as much information as the designers can get their hands on. Gameplay will be very familiar to X-COM fans: select squad members, equip them, and send them to tactical missions played out in nicely drawn isometric overhead view. In contrast to X-COM's user-friendly interface, though, Sabre Team's interface is very opaque, confusing, and leaves a lot to be desired. 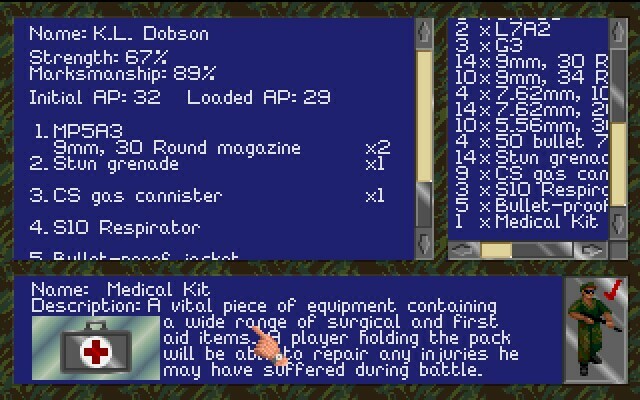 Although most frequently-used commands are laid out as icons on the main game screen, many common actions (e.g. equipping your agent with a new gun) still require more than a few clicks. Sabre Team is a great game once you get the hang of it. There are many weapons to choose from, all modelled after real-life weaponry used by the S.A.S. There are nice touches to the genre, such as the tradeoff between the number of action points and inventory items: you can load up an agent with 5 big rocket launchers, but he will likely end up with too few action points to use them all. Perfect for fans of X-COM and Jagged Alliance who are looking for a game that bridges these two classics.